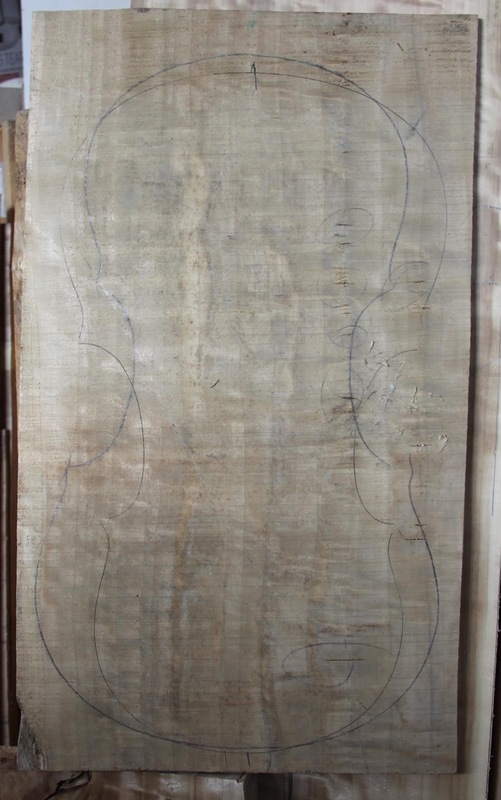 This is the latest cello (the fourth ) in the series of Guadagnini model cellos I am making This instrument is made from some very old riven Spruce, and a plainer back of maple from 1976, both of which I have had for many years, waiting to be made up. There are at least four more cellos in the series to be made. They become more interesting as it progresses. 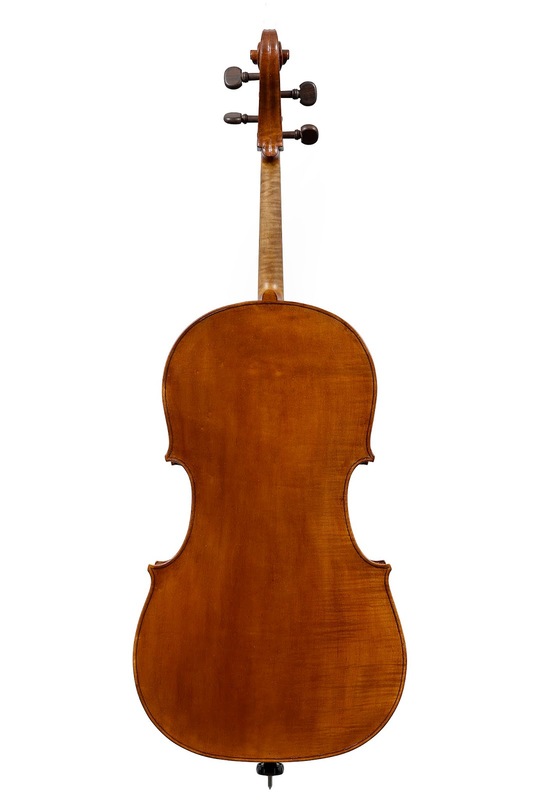 The model has back length of 715 mm, a string length of around 670 mm . Despite the slightly small size of the model, the cellos have a huge sound. And because of the size they are very comfortable to play. The varnish is a beautiful glowing red colour. The original instruments have been used as concert instruments by famous soloists for many, many years up to this day. 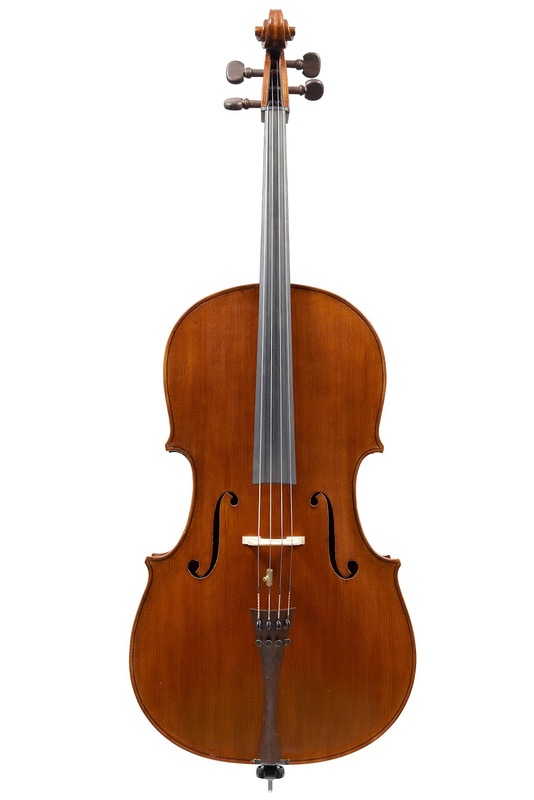 This cello is currently available to try. I have recently acquired some fabulous Italian poplar, nearly twenty years old. I have enough to make eight or so violas and four cellos. 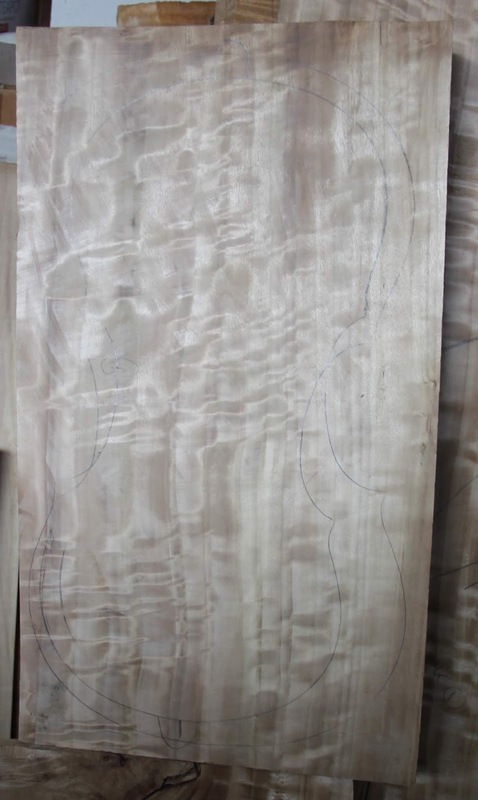 The images below show the wood, and the first viola made from it. It is extremely reflective, glowing, and acoustically excellent. 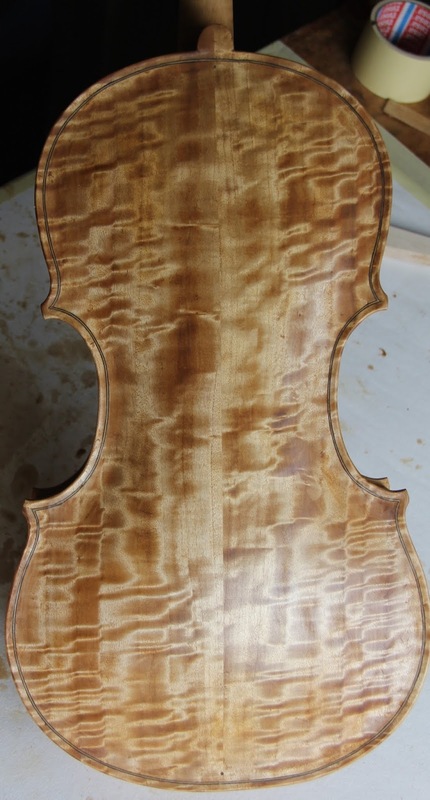 The viola should be completed in about three weeks time. I have begun a cello in the same wood, it should be spectacular. Viola 409 mm back, Brescian model, ground coat applied. Outer varnish to follow.